Before there were singer-songwriters, there were songwriters – those who wrote, not for their own voices, but for films, television and non-songwriting singers. Think of the Gershwins, Cole Porter, Jerome Kern, Duke Ellington, Stephen Sondheim. 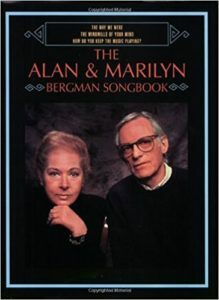 Alan and Marilyn Bergman surely would be too modest to put themselves in such exalted company, but their lyrics – written with composers such as Michel Legrand, Johnny Mandel and Dave Grusin – have brilliantly perpetuated songwriting as the creative craft it was in the era of the Great American Songbook. 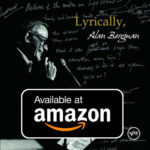 Occasionally, as Alan Bergman did Tuesday at Vibrato in Bel-Air in an appearance celebrating the release of his CD “Lyrically, Alan Bergman,” he steps out of the private world of songwriting for a rare performance as a singer-songwriter. The result was an insightful look at the inner workings of two very creative people – “When we hear a melody,” said Bergman, “we feel that the words are on the tips of the notes, and we have to find them” – as well as a chance to hear illuminating renderings of very familiar songs. With the superb accompaniment of pianist Bill Cantos and bassist Trey Henry, Bergman started with a toughie – a song with lyrics that are difficult for the most practiced singers: “The Windmills of Your Mind.” Like most “list” songs, it’s often delivered as a jumble of words, with little attention to detail. In Bergman’s reading, every phrase, every touching metaphor, came grippingly to life. But the high points of the evening were a pair of songs juxtaposing the polarities of love through lyrics exquisitely capturing the differences between beginnings and endings: “What Are You Doing the Rest of Your Life?” and “How Do You Keep the Music Playing?” (both written with the Bergmans’ most creatively empathic collaborator, Legrand). Each was sung softly, with little dramatic emphasis, with enough space to allow the words to make their own effect. As they concluded, the usually noisy room was held in breathtaking silence, as Bergman, the songwriter, became the most convincing of singer-songwriters.